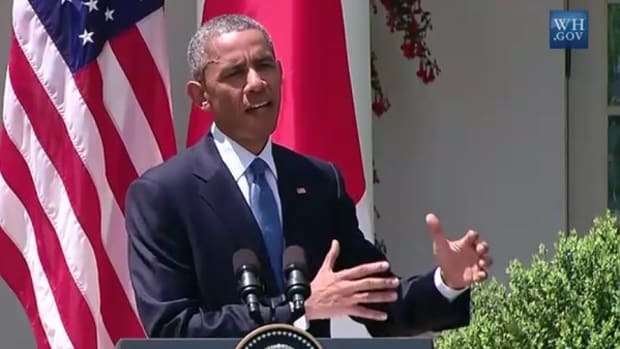 Disrespecting President Obama: it's not just for conservative publications anymore. In fact, it never was. 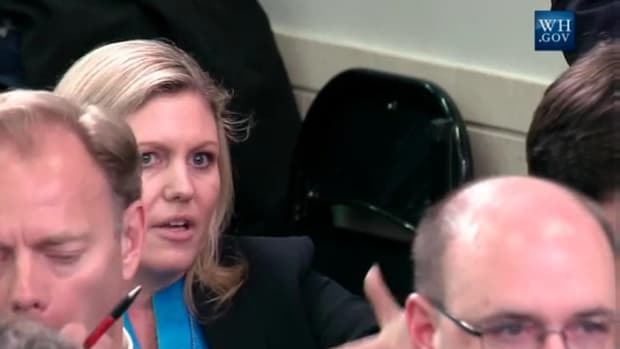 Last week, Washington Examiner White House Correspondent Susan Crabtree weathered a social media beating over her informal manner of addressing President Obama at a White House briefing, referring to him only as "Obama." 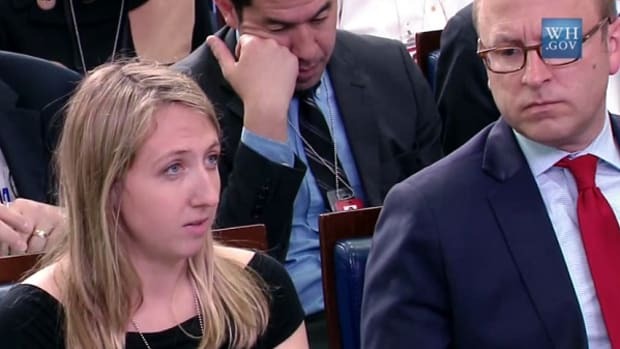 Crabtree later apologized, insisting that she meant no disrespect when she made that serious lapse four times in a single exchange with Press Secretary Josh Earnest. Many were disinclined to give Crabtree the benefit of the doubt because she works for a conservative publication, but casual (and perhaps unintentional) disrespect for the President is not, and never has been, the exclusive province of conservatives or Republicans, as evidenced by this Sunday&apos;s New York Times editorial (spotted by an astute Twitter user). 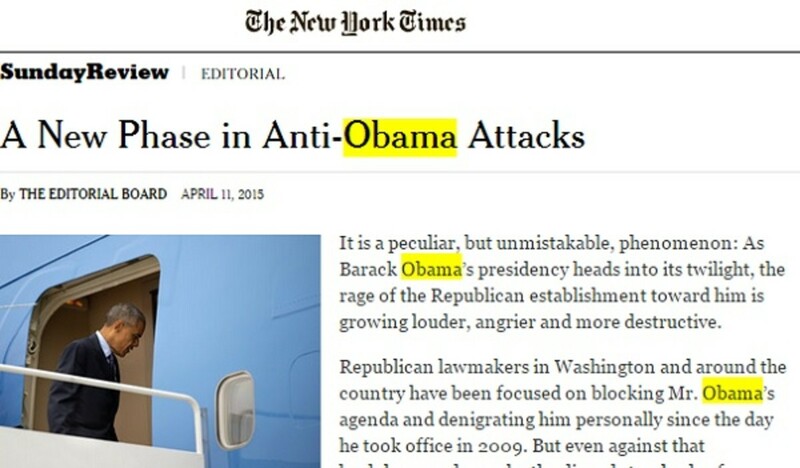 While the preferred style in journalism is to refer to a president as "President (Last Name)" on first reference (The AP insists on first and last name), then use the last name only on second reference, the NYT editorial board elected not to refer to President Obama as "President Obama" at all, alternating, instead, between "Mr. Obama" and "Barack Obama." It is a peculiar, but unmistakable, phenomenon: As Barack Obama’s presidency heads into its twilight, the rage of the Republican establishment toward him is growing louder, angrier and more destructive. 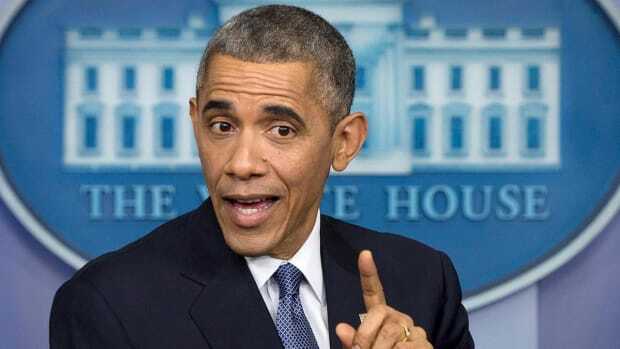 Republican lawmakers in Washington and around the country have been focused on blocking Mr. Obama’s agenda and denigrating him personally since the day he took office in 2009. But even against that backdrop, and even by the dismal standards of political discourse today, the tone of the current attacks is disturbing. 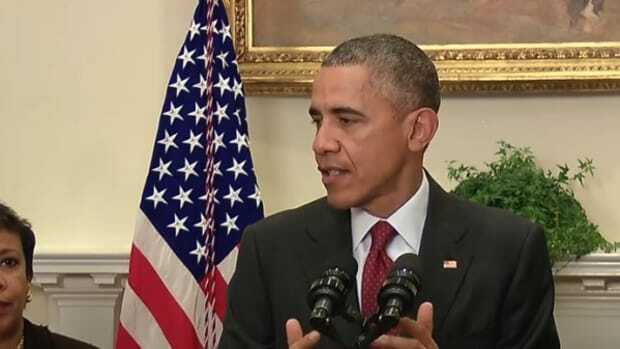 So is their evident intent — to undermine not just Mr. Obama’s policies, but his very legitimacy as president. 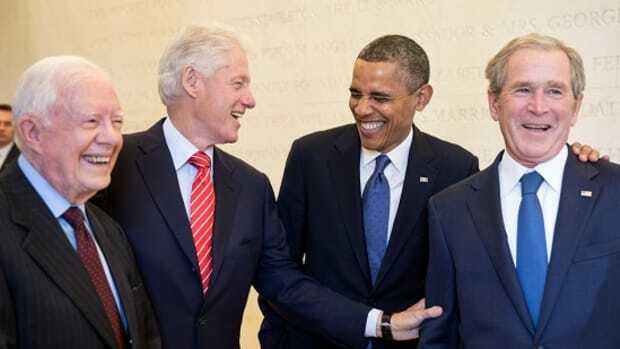 In their defense, they did manage to refer to two other presidents correctly ("President Ronald Reagan" and "President George W. Bush"), so two out of three ain&apos;t black, I mean, bad, right? 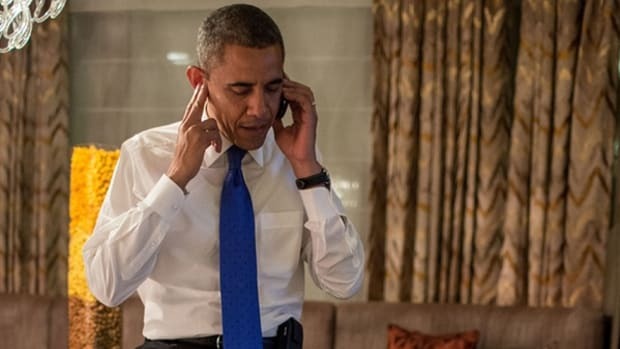 The fact is that calling President Obama "Obama" didn&apos;t first become an issue because conservatives were doing it (although I&apos;m sure they were, when they weren&apos;t calling him a Kenyan witch doctor), it was the overly-familiar use by liberal news personalities that first grated on the nerves of the President&apos;s supporters. For many of them, even a first-reference use of President Obama was insufficient, and for good reason. Television news isn&apos;t like print, you don&apos;t get to look at the whole piece at once. or look back for that first reference. White House reporters at daily briefings have caught on to this, almost never referring to President Obama as anything but "the President." More than that, though, it was seen as a liberty taken out of condescension. 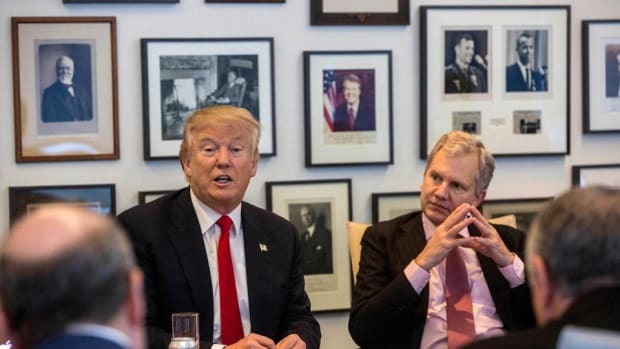 You forget to call him "President" because you&apos;re just so down with him, it&apos;s like he&apos;s your buddy. Style guides notwithstanding, I&apos;ve always made an effort to mix in the references in the interest of avoiding boredom, alternating between "President Obama," "the President," and as few "Obama"s as possible. While most journalists won&apos;t capitalize "the president" in reference to the specific, current POTUS, English teachers in my day taught this as a sign of respect, and it has stuck with me. The White House uses this style to this day, capitalizing all references to "the President." But if journalism has decided that a single reference to "President Obama" covers the next 14 references to "Obama" or "Mr. Obama," then they damn well better at least nail that one. Susan Crabtree had the class and good sense to apologize. I wonder if the New York Times will.